Nagenawa Action! Guru Guru! Chibi Robo! has been confirmed for a western release, with the Nintendo Direct Micro sharing that it will be localised as Chibi-Robo! : Zip Lash. The miniature robot returns in a side-scrolling action game for Nintendo 3DS, in which he must swing his plug to defeat enemies, attach to unreachable platforms, and solve environmental puzzles. Meanwhile, upgrades can be collected to extend his plug to uncover hidden areas and reach trickier collectibles. 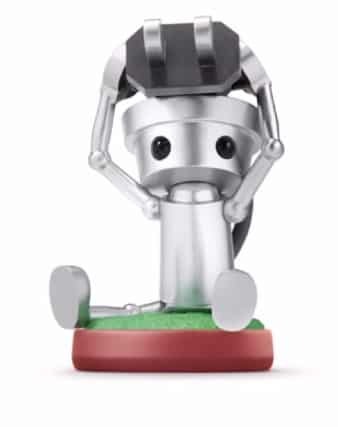 Nintendo have confirmed that a Chibi-Robo amiibo will become available exclusively in a Chibi-Robo! : Zip Lash bundle. When scanned, this allows the explorative robot to transform into Super Chibi-Robo that improves his speed and plug-throwing range, whereas players can level up their amiibo to acquire in-game collectible figures by saving their scores on each stage. More amiibo functionality will also be revealed at a later stage. Chibi-Robo! : Zip Lash will release for Nintendo 3DS in North America this October, and across Europe, Australia and New Zealand in November.